Sri Natesan has gone to the wrong man for a foreword to his collection of Prayers, Praises and Psalms. For I am no Sanskrit scholar. I have not read much of the translations of the originals. Never the less the collection presented in this volume does enable even one like me to know how our ancestors prayed to the One Supreme Lord of the Universe and in what words they derived solace in the hour of their trial or gave praise in the hour of their so-called mph. May this collection help the reader to dispel his unbelief or strengthen his belief. The Stotras form a vast branch of Sanskrit Literature. 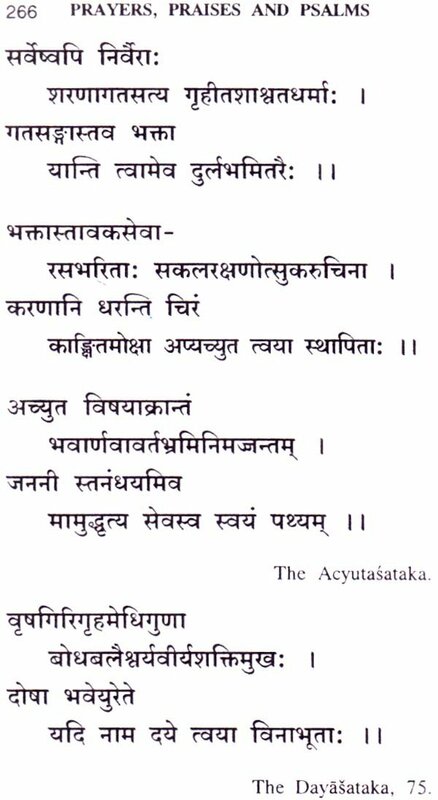 Indeed our knowledge of Sanskrit opens only with Stotras, for the Rgveda, the earliest of the literary remains in this language, is a collection of hymns. The Itihas and the Purana which followed and popularised Hindu religion and philosophy form the next great store- house of hymns. The poets gave us prayers and praises dominated by literary charm, both as part of their poetic compositions and as separate Stotras. The great founders and exponents of Hindu philosophy and theology left us a rich legacy of devotional lyrics. Then followed the great saints, devotees and leaders of new Bhakti movements, and the exuberant outpourings of their God- filled heart have enriched Sanskrit Literature with numberless Stotras. There is scarcely any Hindu, man or woman, young or old, who does not recite every day some prayer or other. The young used to imbibe select Stotras from their parents while yet on their parents’ knees, even as they did epic legends or folk-songs. rtrangam and others. Numerous collections of Stotras have appeared also in the Grantha and the South Indian scripts. For the use of modern readers, there have appeared, from time to time, collections of Sanskrit Stotras with English translation, ‘The Aryan Prayer Book’, ‘Altar Rowers’, ‘Universal Prayers’ etc. 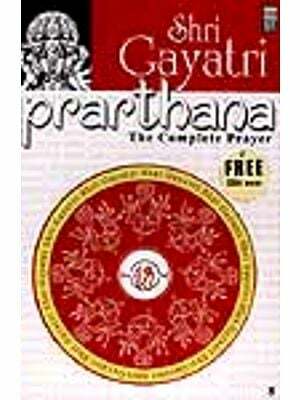 But the present publication “Prayers, Praises and Psalms” is the first, biggest and most representative collection of Sanskrit hymns with English Translation. It has been a long time ambition of all of us in the family of Dr. V. Raghavan, to reprint this invaluable compilation by our revered father. The first edition in , 1938 and the second in 1948 were brought out by G.A. Natesan & Co., well known publisher of those times, and were sold out in no time. For quite some years now, students and lovers of Sanskrit and admirers of Dr. Raghavan who have known about this timeless work of the scholar, have been enquiring with great interest about reprinting it. The Centre is sure that this print would also receive the same or even more overwhelming response, with its rich content and authentic translation by Dr. V. Raghavan, who is regarded as the by word on aspects of Indian Religion, Culture and Heritage. Generations of readers are bound to benefit from this Compact Classic Collection that continues to stand the test of times. As Managing Trustee of Dr. V. Raghavan Centre for Performing Arts [Regd. ], I acknowledge gratefully the perennial support of my mother Smt. Sarada Raghavan and my elder brother Sri. R. Kalidas who has funded this production fully and wished that it should be brought in this year (2008), which happens to be the Centenary Year of our father (1908-2008). I also acknowledge the firm support of my second brother, Dr. R. Charudattan and sister Smt. Priyamvada, all of whom provide ample strength and encouragement to all the activities of the Centre. I wish to thank Dr. C.S. Sundaram, a close associate of Dr. Raghavan, for giving vital support for this work. I acknowledge the services of Smt. Revathy of Chengamalam Enterprises and Sri Venkatesh of K.V.K. Letter Prints for their care and involvement in reprinting the work, with all the necessary improvements incorporated therein. This first print of the work has had the unique privilege of having the foreword from none other than the Father of the Nation - Mahatma Gandhi, who has been acknowledged by Sri G.A. Natesan, for his kindness to write the same inspite of being in the sick bed. 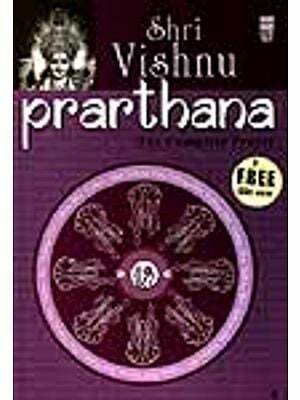 Let every reader of this book get noble thoughts coming from all quarters and let each of them live in peace and tranquility.